Author Spotlight Archives - Joelle Delbourgo Associates, Inc.
Michael Reichert Ph.D. is an applied and research psychologist who has long been an advocate for children and families. From counseling youth involved in the juvenile justice system through experiences leading treatment teams in a psychiatric hospital, all the while managing an independent clinical practice, Dr. Reichert has tested his understanding of children with practical, even life-saving, challenges. He has also immersed himself in research and consultation experiences that have afforded a deeper understanding of the conditions that allow a child to flourish in natural contexts: families, schools and communities. He has created and run programs in both inner city communities and in some of the most affluent suburban communities in the world. Working closely with children across such varied conditions, he has come to a profound appreciation for the hard science of human development. For ten years he helped to create and led an intervention for high-risk youth in the tri-state region around Philadelphia. The program raised over $4 million in grants and was named a “promising practice” for reducing youth violence by the Pennsylvania Commission on Crime and Delinquency. As an extension of his work with schools, boys and their parents, he was asked to pull together top national experts by a highly regarded boys’ school outside of Philadelphia and to create a unique program combining research, advocacy and service. The program was the first school-based research center devoted to understanding the particular needs of boys, which eventually grew into a research collaborative between more than 15 independent schools and the University of Pennsylvania. He continues to lead The Center for the Study of Boys’ and Girls’ Lives, which has honed a model for student empowerment, Youth Participatory Action Research, training high school students in rigorous research methods so they can explore pressing questions about relationships and identity. Each year, these student researchers come together at Penn with over 125 others to present their projects and consider action step recommendations. His work with the Center led to a request by the International Boys’ Schools Coalition, an organization of over 300 state and elite schools around the world, to conduct a series of global studies on effective practices in boys’ education. In conducting these projects and for subsequent presentations based on the studies’ findings, he has traveled and spoken to audiences of boys, educators, and parents throughout Africa, the U.K., Canada, and in many states in the U.S. He has led workshops and consulted to hundreds of schools of all types. Since 1984, Dr. Reichert has maintained a clinical practice outside Philadelphia, PA., specializing in work with boys, men and their families. In addition to direct patient care, he has served as the supervising psychologist at an independent boys’ school and has had the opportunity there to create and lead a program designed to enhance boys’ emotional literacy. This body of experience has led him to publish numerous articles and several books, including Reaching Boys, Teaching Boys: Lessons About What Works—and Why and I Can Learn From You: Boys as Relational Learners. He currently writes a column for Yahoo! News, The #MeToo Guide to Raising Boys, and has a forthcoming book for parents, How to Raise a Boy: The Power of Connection to Build Good Men, which will be published in April 2019 (Tarcher/Perigee/Avery, division of Penguin Random House). 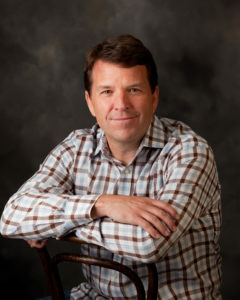 John Christianson is the Founder and CEO of Highland®, a boutique wealth advisory company located in Bellevue, Washington. For the past 25 years, John has managed the financial lives of some of the most successful wealth creators in the country, including executives at Amazon, Microsoft, Starbucks, Nike, and Facebook, along with other successful entrepreneurs and professionals. As a guide and steward to these high net worth individuals and families, he has acquired unique insights into the challenges and opportunities for wealth creators as they seek to have it all and live fully. 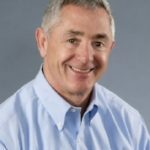 John has co-authored Hello Someday, an inspirational retirement book, and his writing has been featured in the Harvard Business Review and other local and national publications. His book, The Wealth Creators’ Playbook (Praeger, March 2019) guides readers to have a fully rich life, not just in terms of wealth accumulation. It is also available from Gildan Media/Recorded Books on audio. John is also the host and creator of The Wealth Confidant Podcast which focuses on issues at the intersection of money and life through interviews with prominent wealth creators such as Howard Behar (former President of Starbucks), Whitney Johnson (author and co-founder of the Disruptive Innovation Fund) and others. John is married to the love of his life of 32 years, and they share a home in Woodinville, Washington with Blue, their extremely friendly rescue dog. John is a spiritual agitator, an avid and competitive rower, enjoys learning all he can about personal growth and development, and strives to model the belief that to whom much is given, much is required. You may connect with John at www.jcchristianson.com, LinkedIn, Twitter, Instagram, and Facebook @jcchristianson. Classicist, historian and novelist Philip Freeman brings a remarkable gift as a storyteller and an ability to make the ancient world contemporary through his interpretation and translation of events and great works. 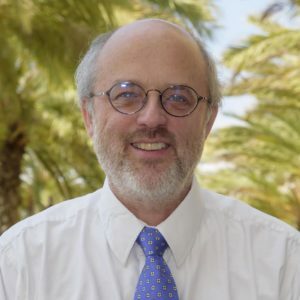 Currently the Fletcher Jones Chair of Western Culture, Dr. Freeman earned a joint Ph.D. at Harvard University in 1994 in classics and Celtic studies. He has taught at Boston University, Washington University in St. Louis, and was the Qualley Chair of Classical Languages at Luther College in Iowa. He has been a visiting fellow at the American Academy in Rome, the Center for Hellenic Studies in Washington D.C., and the Institute for Advanced Study in Princeton, and has been awarded fellowships by the National Endowment for the Humanities, the Loeb Classical Library Foundation, and the Lilly Foundation. Dr. Freeman has been interviewed on All Things Considered, MSNBC, as well as many local NPR shows. His books have been reviewed in the Wall St. Journal, Slate, Los Angeles Times, Chicago Times, among others. His latest nonfiction book, Searching for Sappho: The Lost Songs and World of the First Woman Poet, was published by W.W. Norton in 2015. More recently, Dr. Freeman has proven a natural as a historical novelist. 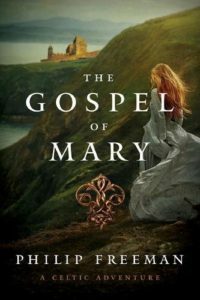 St. Brigid’s Bones, Sacrifice and The Gospel of Mary are Celtic mysteries (Pegasus), set in the early days of Christianity in Ireland, and feature a young nun, Sister Deirdre, who proves to be a charming detective.